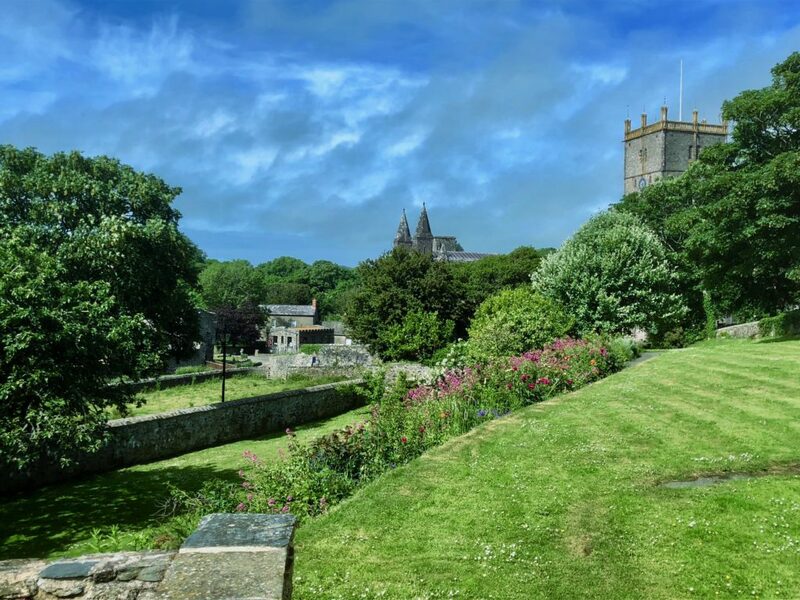 The Deanery Garden look out across the Cathedral and the Bishops Palace to the picturesque ford over the River Alun. 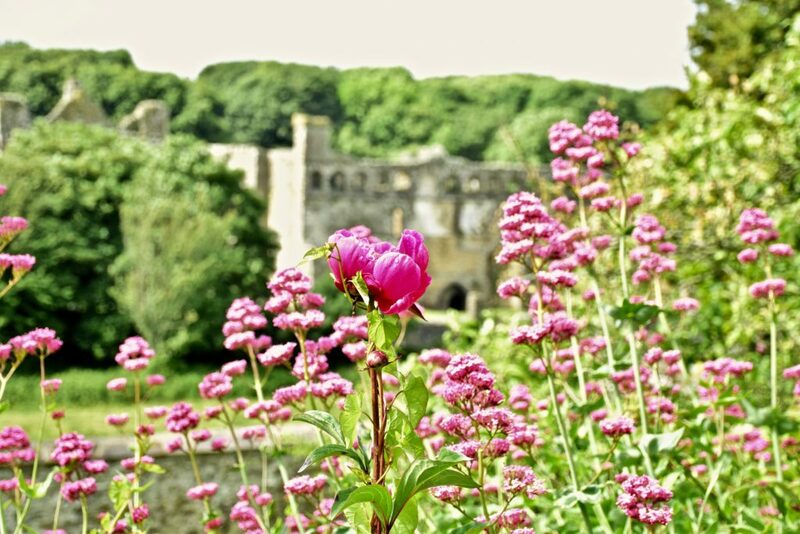 The terraces are divided by the old walls and still contain the remnants of ancient building on the site.The flower beds are abundant with colour and texture and feel at home in this tranquil garden. The flowers attract insects and the surrounding trees offer shelter to the numerous noisy birds in the Cathedral ground. 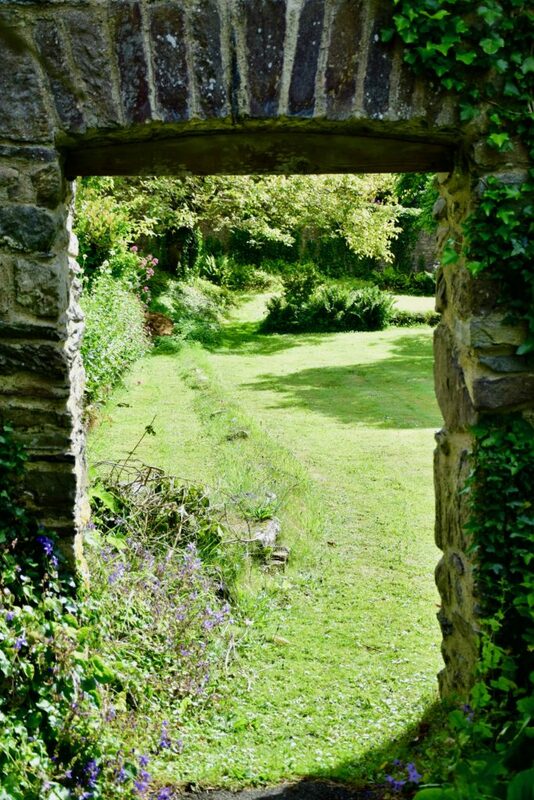 There are quiet corners in the shrubberies for the quieter birds and those that chose a more secretive life style. 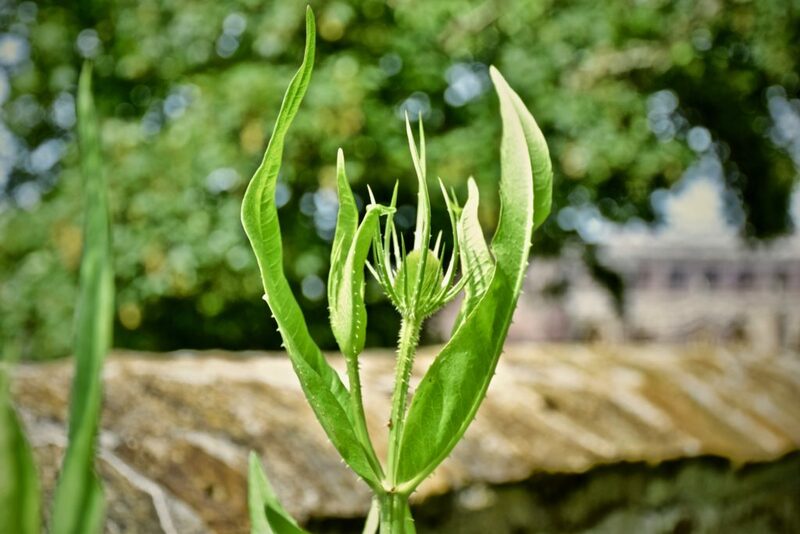 The walled gardens create a feeling of quiet peacefulness and one can imagine the centuries of residents of the Deanery walking the winding pathways and stone arches in search of inspiration or just meditating on the meaning of life. Even after just a few moments in this garden you will feel at home and refreshed to face the rest of your day. Behind every corner there is something new and surprising: from the majesty of the trees in full leaf to the bright green teasels against the western wall. Please enjoy your brief view of the Deanery but please be aware that some of the paths are steep and may be slippery if the weather is unkind. Some of the stone arches are low so please remember to duck at the appropriate moment. There is a swing in the gardens but is only suitable for very small children as the apple tree holding it is too slender to support larger people – please avoid sitting on it if possible. There is a resident dog in the Deanery and Dean Sarah would be grateful if all dogs could be on a lead and any mess created be removed.